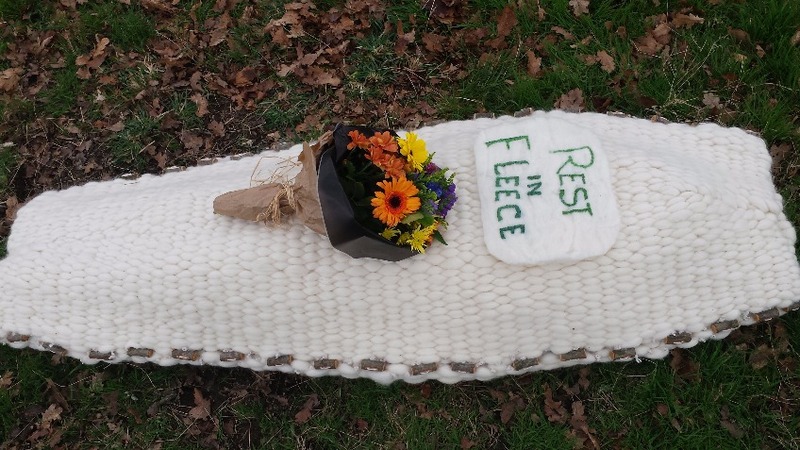 Recently whilst searching for some unrelated product, the internet led me to a very interesting topic of Woolen Coffins. Apologies if this seems mournful to you. I don't know if I am way behind the crowd on this, but it was certainly new to me! It seems that about 8 years ago a company by the name of Hainsworth, in Yorkshire UK created lovely tactile coffins made from felted wool. These attractive coffins have a softness that wood and brass don't have. The adult sizes use the fleece of 3 sheep and obviously less for the smaller pet versions they create. They have been very popular and promoted in New Zealand as well through Natural Living and are available in Australia through Serendipity . I've also come across these other wool and knitting inspired coffins. 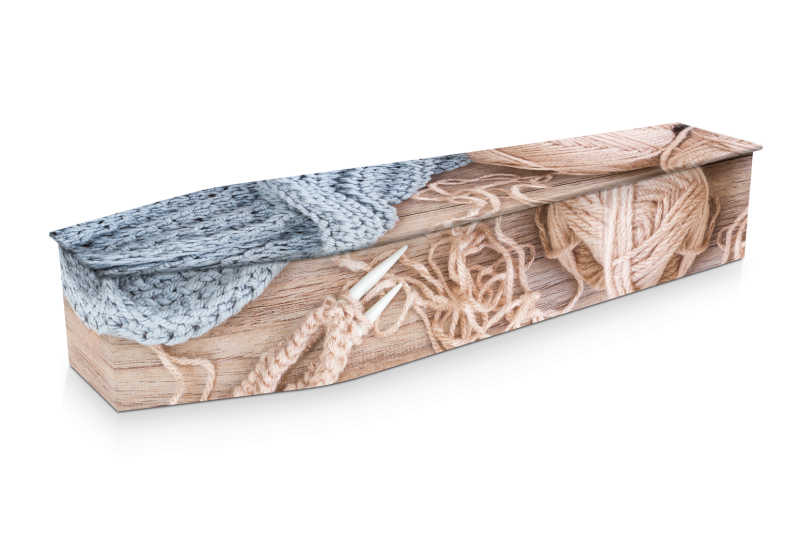 A company called Expression Coffins can turn your regular coffin into a tribute to your passions with an image skin, of yarn and knitting. It seems you can have any number of worldly passions printed on your coffin.. Cappuccino coffee, surfing, even camouflage. Another wool themed resting place I found was this Woven Cloud. Made from wool and willow. There was a successful Kickstarter campaign for a UK product named Rest In Fleece , but the link to the website is no longer working. The cloud does look very tribal and quite ethereal. Then I came across this absolutely beautiful coffin, known as a Leaf Cocoon. Stunningly handcrafted by Yuli Somme. You can watch the You Tube video here of her carving wood and sewing the cocoon then finally felting beautiful leaves on the outer blanket. What gorgeous craft work. I can imagine how comforting this would be to someone looking for a final resting place for their loved one. Anyway apologies again to anyone this may have upset, once I saw the woolen coffins I became intrigued. Certainly something to think about for both individuals and businesses involved in wool.